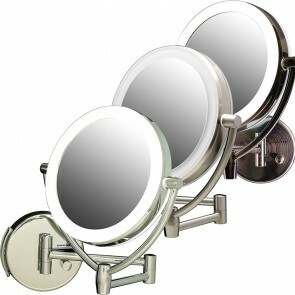 When it comes to different makeup mirrors, vanity mirrors are perhaps the most commonly used by women. These tiny mirrors, usually rounded, have 2 sides and are flipped over for magnification so women can get a closer look at their face details. Due to women's increasing demand for vanity mirrors, producers have become motivated to make more options to help women with their everyday lives. 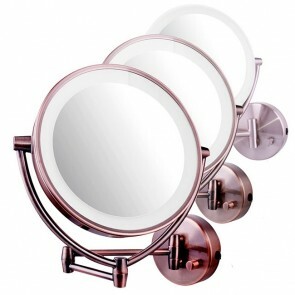 Hence, different types of vanity mirrors have successfully break into the market. A wall-mounted mirror is a type of vanity mirror that is very beneficial to the user when grooming and getting ready in the morning. Wall mount mirrors can be attached to a wall and have the ability to magnify in order to help women see their face better. 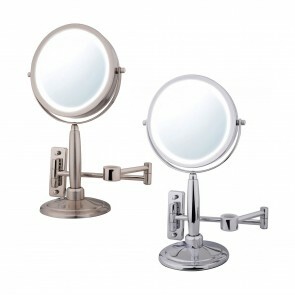 Majority of vanity mirrors have the magnification feature and the wall-mounted type is no exception. 8x magnification or higher is recommended for someone who needs help seeing at a distance; some mirrors also include magnification sensors to help guide the way. 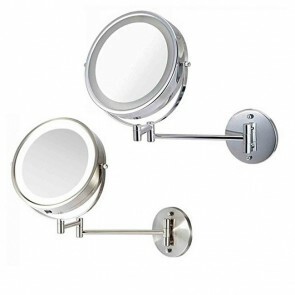 If the mirror is mounted to the wall, getting close to the mirror is quiet challenging and the user can't reap the complete benefits like magnification and positioning; because of this, most wall-mounted mirrors have extender. 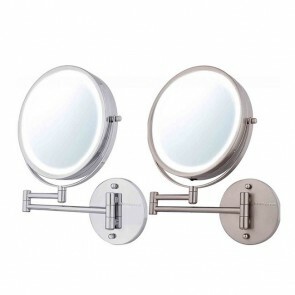 This means that if the wall mirror has an extender, the user can actually mount the extender to the wall instead of the mirror and she can simply pull the arm forward so that the mirror can get closer to the face. 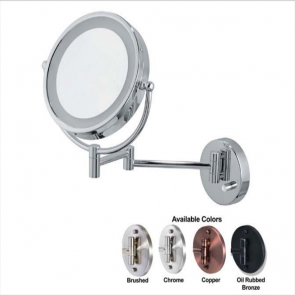 Most wall-mounted mirrors also come with LED lights as part of the mirror; therefore, the lights around the mirror will illuminate so the user can see better in the dark or even in the daylight. 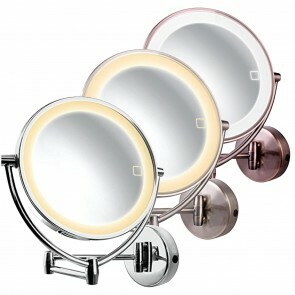 Look for a lighted mirror and achieve the perfect makeup anytime! A mirror is necessary in the bathroom because this is the area in the house where people shave, style their hair or apply makeup. A quality wall-mounted mirror is very important for personal grooming. A decorative mirror attached to the wall makes a statement and is more than just a functional item. Several mirrors can be an art if placed next to one another as it can create a pattern. Wall-mounted mirrors can create an illusion of light and space. Mirrors reflect light from the outside and make rooms brighter. Also, a small room with a well-chosen mirror can make a small place look bigger. To get the best mirror in US, visit Ovente for high-quality vanity mirror such as tabletop mirror, wall-mounted mirror and travel mirror.